Welcome to the first monthly newsletter for Travelogues of a Genealogist. Travelogues of a Genealogist is a blog page that I created in 2008. Since then, the blog has been a major asset to my experiences in the world of genealogy. 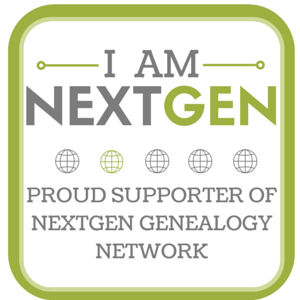 A newsletter will be posted each month to educate readers on genealogy and to stay in touch with followers who want a concise overview of the content in my blog. Find out more below on how to get started with your own family tree. WHAT IS GENEALOGY AND HOW DO I GET STARTED? Genealogy is the study and identification of one’s ancestors or family tree. You may find yourself wondering who your ancestors were, but are not sure how to get started. Below are four tips to guide the beginner. Ask yourself what you want to know. Determine your personal motivation for learning about genealogy and write down pressing questions you have about your family. Family Tree Builders. Most online family tree builders are free and are friendly to beginners. You may also consider a genealogy software program. Next month’s newsletter will feature a section on recommended family tree builders. Collecting Evidence. Evidence in genealogy comes from documents, but also from oral tradition. Every family has a story that has been passed down from other family members. Before going to the record collections, you should talk with family members, especially older ones, to record family traditions. Our role as genealogists is akin to a private eye detective: We seek truth and use evidence to shed light on family stories that have accumulated distortions. Sometimes all of this new evidence will not be received warmly by family members, i.e. a newspaper article of a disturbing event involving an ancestor, and we as researchers must enact a degree of empathy in these sensitive situations. Was one of your ancestors an inventor? Ancestry.com has made available Record of the U.S. Patent Office, 1790-1909. The documents provide researchers with the name and residence of the inventor and signatures of witnesses. These patent records are great documents to assist in telling the story of your ancestor and you even receive a detailed drawing of their new patent. For example, William R. Johnson of Waltham, Massachusetts patented a new modification to drums in 1887 (specifically ‘snare drum’) allowing musicians to control the stretch of the drum skin, thereby changing the drum’s pitch. This slight modification has forever changed the way drums are used in performance. Figure 1. “W.R. Johnson – Drum,” patented 5 July 1887, No. 365,817: accessed on Ancestry.com, U.S Patent and Trademark Office Records, 1790-1909. Recently I was invited to be a guest blogger for Legacy News. For my first guest article, I chose to discuss strategies for researching ancestors who worked at sea in the United States. If you are searching the seven seas high and low for an ancestor, try some strategies brought to you by the many guest experts at Legacy News. “Re-tracing your footsteps in research,” 24 July 2015. “More Clues to Owen O’Neill’s Seafaring Past and Life in California,” 15 Jul 2015. “Cataloging Research Papers for Edmund Freeman with New Thoughts,” 5 Jul 2015. “Transcription in the National Archives Catalog,” 5 Jul 2015. We hope you enjoyed our first newsletter. Check in with Travelogues of a Genealogist blog (fletcherfamilytree.wordpress.com) for more updates. To request a hard copy of the newsletter, please use the e-mail below. Thank you.